100% Pure Creatine Creapure by Genius Nutrition without added ingredients or flavours. 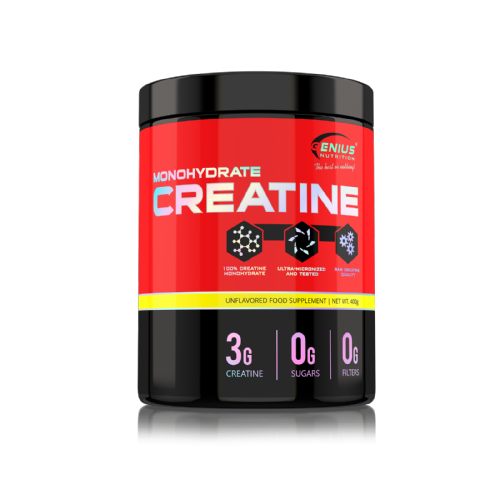 Creatine Monohydrate Creapure® is an ultra-pure creatine monohydrate supplement produced in Germany. Creapure® is widely regarded as the purest form of creatine on the market today. 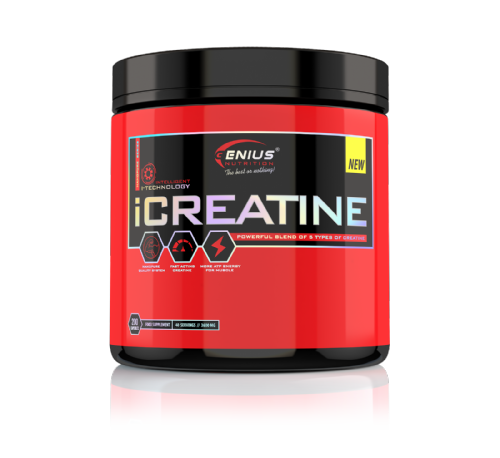 Creatine Monohydrate is one of the most effective sports nutrition supplements around and has been shown to increase lean mass and improve explosive performance in exercise. 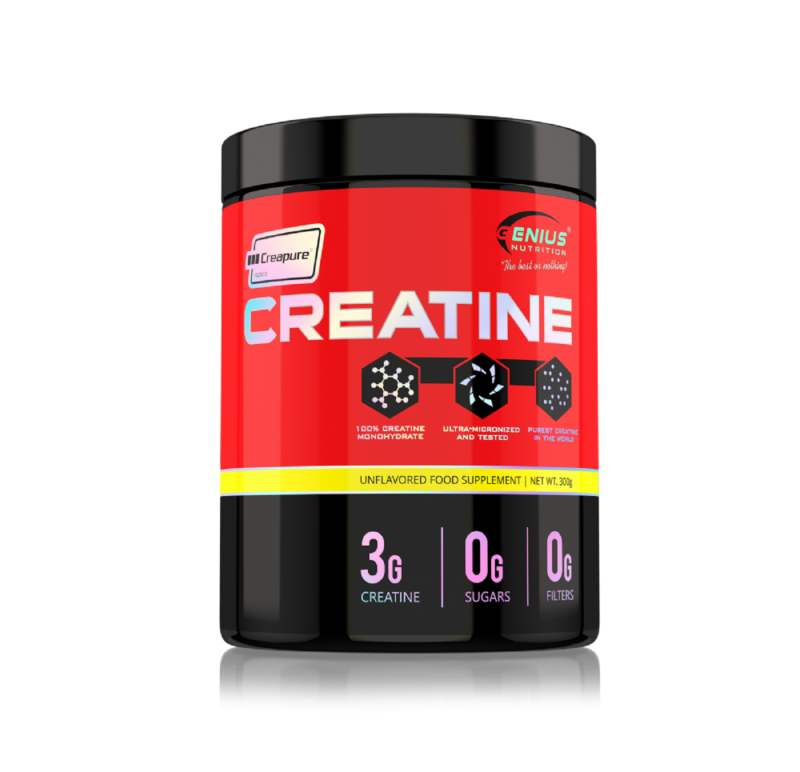 Creatine Loading: Take 1 scoop of Creatine Powder with morning, afternoon, and evening meals and 1 additional scoop before going to bed for 4-5 days to help saturate your muscles with creatine. Creatine Maintenance: Take 1 scoop of Creatine Powder with a meal or immediately after training with your post workout protein shake. TIP: Drink at least eight glasses of water daily when supplementing with creatine. Consuming simple carbohydrates with creatine may help improve overall effectiveness.